Colfax Avenue: Suburban Toppers celebrates 30 years in business! No better way to celebrate 30 years in business and your 60th birthday! 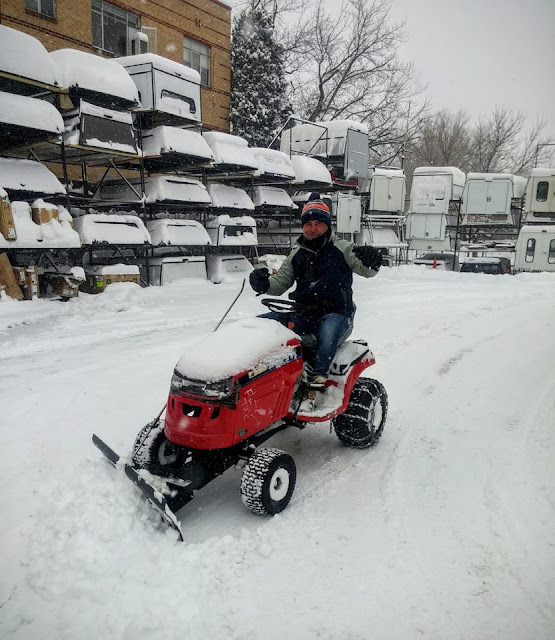 The fearless leader of Suburban Toppers (founded in 1985) braving the elements to keep the lot clear and the sidewalks safe for Colfax Mayfair Business Improvement District! !